The CRD has received news that a new and unknown material has been found on Dominus! We are excited to begin research on this new substance and have begun construction of a facility which will unlock the mysteries of this new material. Once construction of our lab is complete we will be asking all factions to deliver samples of this substance to us for study. The faction(s) which are able to deliver the largest quantites will be able to assist in naming this new substance, as we begin to unlock its secrets. Have an axe to grind? Someone who needs to be hunted from end-to-end on any planet they deploy to? Now's your chance to express your true feelings. All players with TerraDays can now place bounties, using Command, on other players from their Profile panel and any player (even those without TerraDays) can collect them. You can only have one active bounty per player (so set it right the first time) and the Command is automatically removed from your account when the bounty is placed. To claim the bounty, another player will need to destroy the Commander of the player you've placed a bounty on (on a non-Arena, non-Dueling planet). You will then receive a confirmation email showing the planet your target was killed on and the unit they were using at the time. If the kill meets with your approval you can award the bounty, the completion of which will be broadcast by the new Drop Shock News Network. The Drop Shock Newsbot has recently been hired to broadcast about current goings-on within the game. The Newsbot has several well-placed sources and many happenings which were previously difficult to discover are now being covered by the DNN Newsbot. Trade-able Construx Sets & Birth of the 4-pack! Construx traders rejoice! You can now trade un-openned Construx sets from Market -> Trade Construx. Have a spare Shadow Wars set you'd like to trade for Battle Tactics? Now you can swap Construx sets for specific Construx, Command, TerraBucks or other Construx sets. Need more Construx sets to kick-start your trading career? The Construx 4-pack is here to help. For $99.95 you receive twenty five Construx sets from each expansion, except for Combat Drop. This gives you 25 Default sets, 25 Battle Tactics sets, 25 X-Project sets and 25 Shadow War sets all for one dollar per set. The Construx 4-pack can be found in the Account Settings panel. A question was asked recently about what the theme of Drop Shock is. While the game has many themes (mass PvP, faction wars, player-driven economy, etc.) 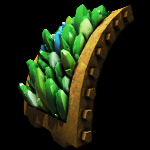 an over-arching theme is the ability to customize and tweak your forces to fit an overall strategy. Unfortunately, a hurdle in accomplishing this goal is the lack of Mod-slots on many vehicles and meka. To resolve this issue and better align the game to its overall theme, zero Mod-slot units (except for Probes) have all been upgraded with one Mod-slot. Also, salvaged Bandit units will now all have at least one Mod-slot and it is now possible to find a four Mod-slot Bandit vehicle. On the construction side, all built vehicles will now have at least a single Mod slot and it is slightly easier to build two and three Mod-slot vehicles. Variants are also easier to create: There is now always a slight chance of obtaining one variant and the caps for obtaining the first two variants have been removed; the cap for the 3rd variant is 80%. This means that if you have the maximum number of construx for a unit (45), you will always build it with at least two variants. Lastly, the Add One Mod-Slot Power-up now adds one Mod-slot to a Simple unit and can be used to add up-to 4 Mod-slots. 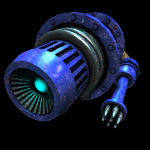 However, this Power-up cannot increase Mod-slots on a unit which can only be constructed with a limited number of slots (ie. Probes and Drones). No Prisoners ... No Mercy! The kind-hearted nuns over at No Prisoners, No Mercy were nice enough to give some airtime to Drop Shock. Feel free to check out their Podcast for the full show. By popular request, crew filtering has been added to the Modify Units panel. This filter allows you to quickly find crews with specific Merit combinations or any crews which have a certain merit. Filtering for Units and Mods is still being considered as-well. The Faction Level overhaul is complete! Below are the new Faction Levels, all previous Faction Levels have been reset and the Faction Points spent on them have been refunded. If there are two numbers for a Faction Level advantage, the first is for small factions (less than 26 members) the second is for large factions (more than 25 members). Because there are now fewer levels, the cost per level has increased slightly but the overall cost is similar (the new system is actually 600fp cheaper overall). One additional tweak was made to faction levels. Levels with Construx no-longer provide a free Construx of that type, these must now all be obtained from the Faction Construx panel in the Faction Admin page. Image Pack users can download the additional images here. When this update is finalized, all Faction Points previously spent on Faction Levels will be refunded and factions will be able to re-purchase the levels they want for their factions. Also, because there are fewer levels in the update, the cost per level will be slightly increased so that the total cost of the new system will be as close to the total cost of the old system as possible. The intent of this update is to return gameplay to a state where combat is detemined more by unit setups instead of faction levels. Faction levels will still provide advantages to the factions which possess them, however faction level advantages no-longer mean that a more established faction always has stronger units while deployed. You can now order units to move at Cloak Speed via a hotkey. This order can be issued to an individual unit or a stack of units. Only units which are able to Cloak will respond to an order to move at Cloak Speed. This hotkey is not set by default, you will need to visit the Account Settings panel to setup this hotkey. Below you will find the winners from the second Drop Shock Faction Recruitment competition. Congratulations to the Top 5 factions! If you are the leader of a winning faction please email me in-game to arrange a day & time for your 30 minute talk. Any additional prizes will be awarded after your time is confirmed. - Factions can now specify a percentage (0 to 100%) of the Relic Faction Tax which is paid directly to the capturer.